There just doesn’t seem to be any limit as to what can be achieved with container homes, especially not after today’s homify 360° discovery. 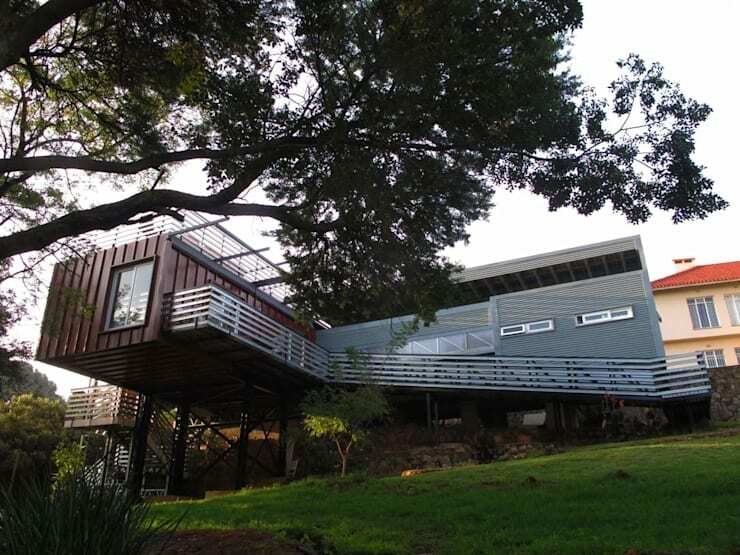 From A4AC Architects in Johannesburg comes a most extraordinary creation: an off-the-grid container house in Northcliff that wows from the second you view it on the outside. But it’s not only its aesthetic beauty that impresses – the house is lightweight and energy efficient in its use of systems and materials. Oh, and did we mention it is rather… high? Told you this was something unique! Just see how that container seems to dangle in mid-air in its cantilevered design. 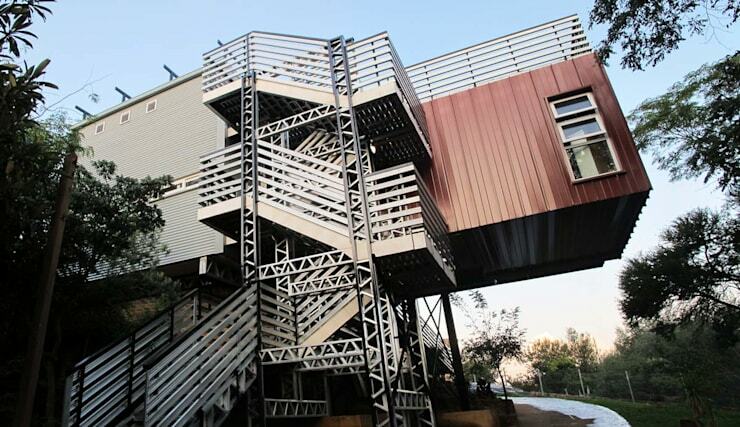 And of course the choice in façade materials (in addition to the container’s metal) just enhances its exterior appearance so much more. You didn’t really think that a staircase was the only means of entering this breathtaking abode? A ramp has been situated on the other side, and from this view we can also see just how elongated and spacious this structure really is. Let’s talk numbers: the house’s dimensions weigh in at 20m (l) × 6m (h) × 20m (w) / 210m². And the price tag on this gorgeous beauty? R1.6 million. 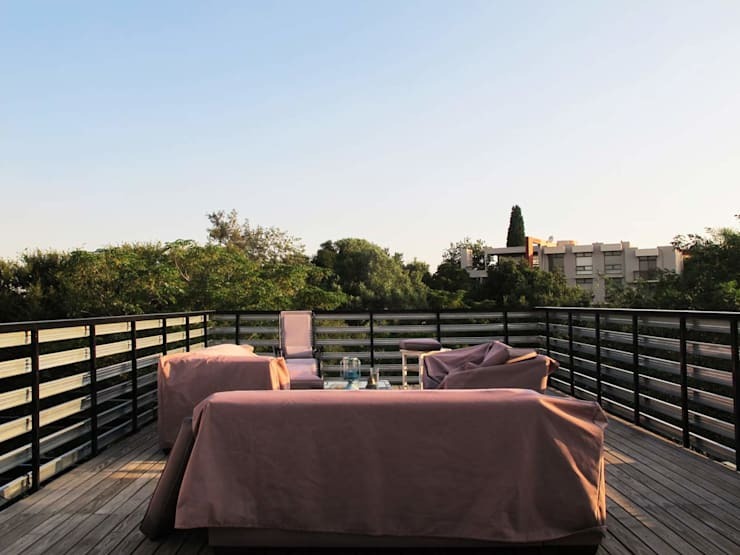 A top deck is part of the design, and as we can see here, this outdoor space is most fantastic in allowing the residents to kick back and relax (or socialise to their hearts’ content) high above. 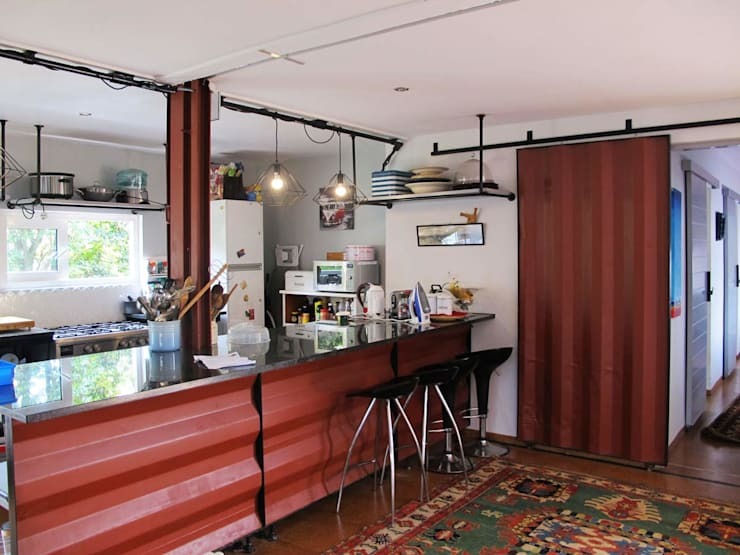 On the inside, one can barely tell that it’s a container home we’ve entered – just look how fantastic that kitchen is, flaunting its modern-meets-industrial style and including all the regular bells and whistles like legroom, working space, storage areas, sleek appliances and adequate lighting. Our favourite piece here? The metal adorning the front side of the peninsula and sliding doors – definitely a striking throwback to the container’s exterior surfaces. Let’s see what else these beauties are capable of—see 6 stylish container homes that won't break the bank.